News & Press Archive - Salefish Inc.
Read about the latest industry trends, product news and press! 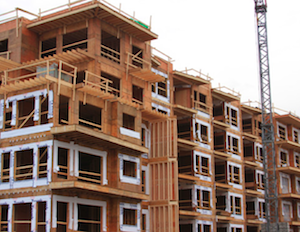 The Hot Debate: Are Timber Towers Really Safe? The innovations to create taller wood buildings are in place. But is our collective mindset there? While people are comfortable living in two or three story wood houses, are they prepared to call 6-storey plus timber towers home? And what about industry experts? What are their opinions about constructing taller wooden structures? The Cement Association of Canada (CAC) claims concrete is more solid and durable than wood because it doesn’t expand or contract. They also raise the argument that concrete is more allergen-free than mold-producing wood frames and provides acoustic privacy. More importantly, they maintain that concrete buildings offer a better ROI as well as lower repair and maintenance costs. Finally, they believe that since concrete is more familiar and solid, people feel safer living in these types of buildings. They use a recent fire in Kingston, Ontario to illustrate their points.